All seventeen year old Lexi James wanted to do this summer was spend it with her friends. But what happens when she goes to sleep one night and spends it with one-hundred and forty-nine random strangers instead? Being in a fake dream world, one where you&apos;re stuck in your mind, while also being controlled by computer codes is one thing, but what about her waking up inside that dream world and not remembering her life outside it? And here&apos;s the thing, it&apos;s all a test. A test for what? To save humanity. But why does humanity need saving? She doesn&apos;t know. She only wants to complete the test, and do all she can to get out. 1) What inspired you into writing? 1. Well, I have a large family(my mom, dad, three sisters, and two brothers) and let&apos;s not even go into the amount of pets we own. It&apos;s a bit chaotic, but they&apos;re my family and they inspire me everyday. And with all the different personalities around here, it&apos;s easy to come up with new characters, so that&apos;s a plus haha. But yeah, my family is what inspires me, love you guys! 2) What are the works written by you? 2. Well, there&apos;s the first story I wrote on here called &apos;The Test&apos;, and it&apos;s sequel &apos;The Program&apos; which i&apos;m currently writing. And i&apos;m writing short stories based off both. Then there&apos;s &apos;Torn Lace&apos; that&apos;s really just there for the moments I have severe writer&apos;s block. And my newest work &apos;Invalid&apos; which will also be there when writer&apos;s block has taken over. 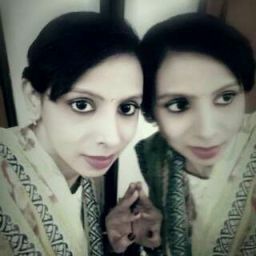 3) How was the journey of writing &apos;The Test&apos; has been like? 3. It was definitely fun, that&apos;s for sure. Coming up with the characters and forming their back story was interesting. I loved writing it as much as I hope my readers enjoyed reading it. The only thing difficult was writing a kissing scene. I&apos;ve never kissed anyone before so it was definitely.....interesting. But other than that, it was awesome. 4) What is the story about and who is your favorite character? 4. Basically, it&apos;s about this girl named Lexi. She goes to bed one night, but when she wakes up, she&apos;s inside this dream controlled by a computer. Her and one-hundred and forty-nine other teenagers are stuck there with her. And if that wasn&apos;t bad enough, none other them can remember their life before waking up in the test. Also, Lexi finds out she can do something to the test, disrupting how it work and breaking the computer codes that are holding it together. And my villain, Reid, wants to kill her for it, saying she is ruining the results of the test and that they&apos;ll never get an accurate reading if a disrupter is there. So, she makes some friends, some of them helping her hide her secret, while finding a bit of romance along the way. And as far as my favorite character goes it&apos;s John. One, because he&apos;s kind of a bully to my main character at first but I always knew how big of a role he would play. Two, I love his character growth. Plus, you find out later he wore dorky glasses as a kid and i&apos;m a sucker for a character like that. 5) Did you thought you would win the Wattys? How was the entire experience? 5. Not really. I mean, I wanted to, badly. But I saw so many stories that were better than mine by a long shot. I still keep thinking this whole thing is all a dream. 6) How did you promoted your book? 6. I didn&apos;t do much promoting at all actually. Which I find strange to tell you the truth. I don&apos;t promote my work and yet people still read it. 7) a) Constructing a plot : Um, don&apos;t go of topic, I would say. You don&apos;t realize how many times I go to read a story about for example, I don&apos;t know, The Avengers and it ends with One Direction popping out randomly. Please, for the love of all things good, please don&apos;t change your plot randomly. b) Choosing a title :  Don&apos;t something simple, not so long. And don&apos;t give away too much in the title. Like if your title said &apos;The Story of A Girl And The Hot Guy She Fell in Love With&apos; you&apos;re doing it wrong. That&apos;s giving away too much of the story in one glance and not trying to be rude, sounds stupid. c) Sketching characters : Have fun with it! That&apos;s all I can really say on that one. 8) Who designed your book cover? How was the entire process like? 8. Actually, I did. It was difficult coming up with the right design to fit the story, but eventually it fell into place. 9) Now, that you&apos;ve made it to the Wattys, what are your future plans where writing/publishing is concerned? 9. I don&apos;t really know. I&apos;m still just a teenager, so if I ever do publish I think i&apos;ll wait a bit longer. 10) What is the latest work on your desk? 10. &apos;Invalid&apos;. Which is just a story set in the future where America is fighting a war and the enemy took kids and trained them to fight beside them and help them win. And when they do win, they dump the kids and they have to fend for themselves. My story revolves around a character having to survive all that. Plus, i&apos;m working on other things on the side I might post someday. 11) How do you proofread/edit your works or do you get it done by someone else? 11. I proofread and edit my own work. But sometimes I have some help from my sister, known as Nartural_Gert96 on here. 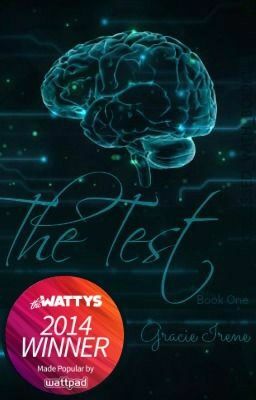 12) how has been the reviews and comments to your book &apos;The Test&apos; has been like? 12. They&apos;re so nice. I tend to blush whenever I see them. 13) Books, songs and movies that inspired you? 13. Books always inspire me because I love reading. Um, let&apos;s see. Divergent was a big one, and The Maze Runner. But GONE by Michael Grant had the biggest impact. I love his book series, so I kept thinking throughout the story, &apos;What would Michael Grant do?" And as far as songs, anything by Imagine Dragons tends to help. 14. I don&apos;t have any websites other than Wattpad. Maybe I should think about it though. 15) Your message to readers/followers. 15. Thank you so much for reading my story. It&apos;s an honor to win a watty award. I really, truly love you all! 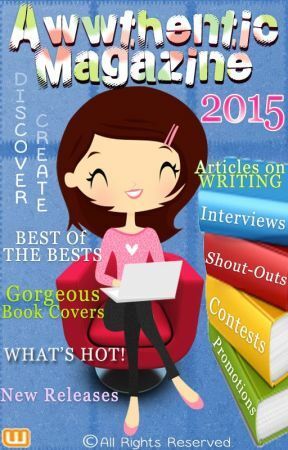 Congratulations Gracie Irene for Winniing the Wattys and Thank you for the Interview.